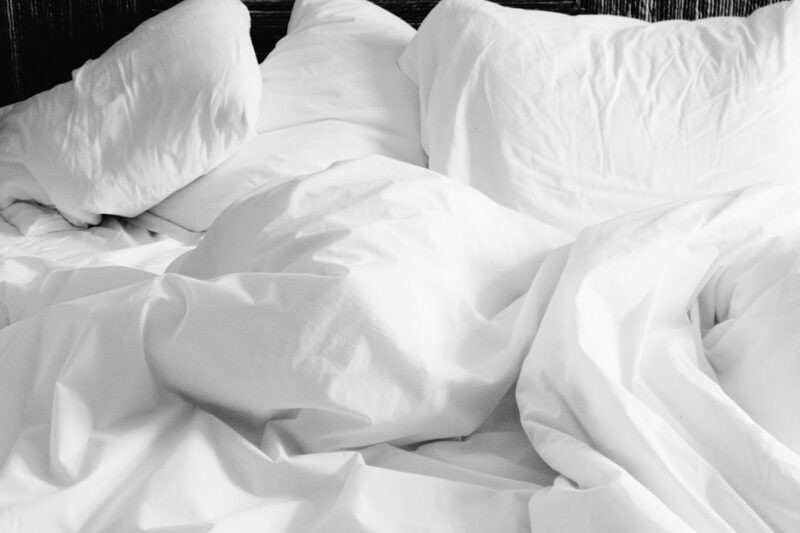 Shhh… My 4 Secrets For Better Sleep. Happy Monday! Today, let’s talk about bed time! What is bed time to you? For me, bed time is the time where I soak up the moon light and recharge for the next day! So, sleeping quality is super important in order to be fueled for the next full day of activities! That’s why, I’m going to share my four secret items that works for me to help me achieve better sleep! First, I find essential oils to be a big part of my “better sleep bed time routine”. Essential oils are immensely significant to my sleep, because first off, it does wonders for my skin over night. And yes. I mean wonders. I can’t live without it (more on this in another blog post later). And secondly, the natural scent of the essential oils just calms my heart and soul for the night and helps me fall into deep slumber. It’s the same reason why spas and yoga spots use diffusers with essential oils – they’re supposed to help you relax! If you know me, or have been following me – you know that I use mixes of essential oils as part of my night time skin care regiment. I used to blend and mix my own, but lately, I’ve been experimenting with store bought ones. 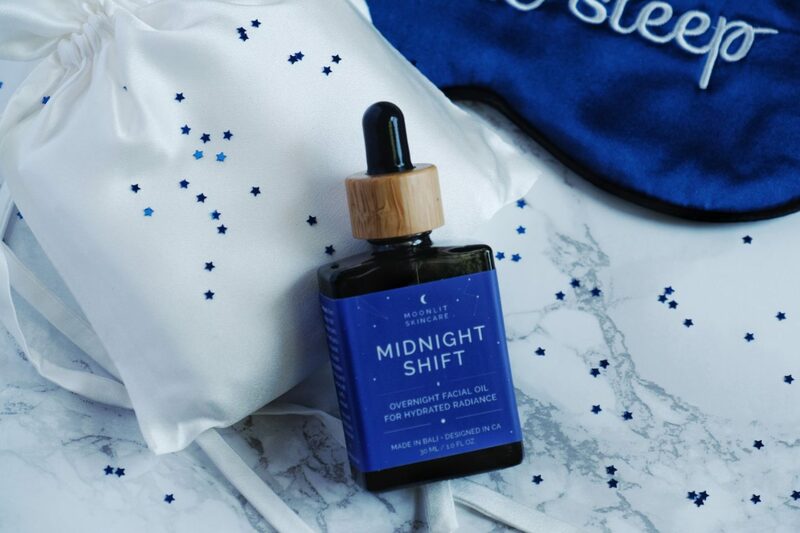 A good pre-blended one would be the Midnight Shift Overnight Facial Oil. It is vegan and cruelty free. It contains Jojoba oil, Sunflower oil, Grape seed oil, Vitamin E and other super ingredients. It has the smell of lavender to aid in tension relief and a decrease in heart rate. I personally love the scent of lavender for unwinding and it has definitely helped me relax more before bed with just a few drops. Another thing I use for better sleep, is a 100% silk pillow case. It’s apparently been a Hollywood secret for years and I’ve just recently caught on to the trend! My only regret is – why didn’t I find out sooner?! I’ve used it for two months and boy! I am a convert and though more expensive, I won’t ever go back to a regular pillow case for my life. Now, it’s just not about skin. If you’re a lover for hair – you’ll have to note it aids protecting your lush locks as well! It’s smooth texture and nature helps your hair become healthier and shinier. Like skin care products on your face, your hair will retain it’s natural oils better as well! Your hair will also be less frizzy and tangles because it easily glides against the silk during your sleep. I must testify, that my hair’s condition has gotten much better since using it. When I curl my hair and sleep, I can have my hair last up to three days and it still looks great! I tested it during a recent trip and I could not be happier! It’s been a holy grail for me since I’ve found it because I truly reaped all of the benefits it boasted. 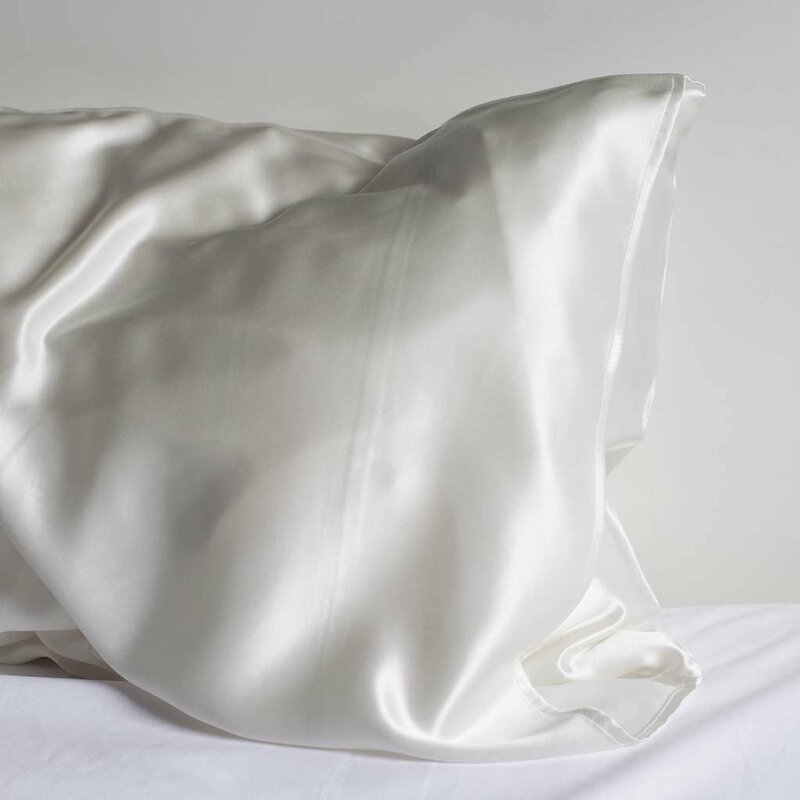 The one I currently use is the Cloud 9 Silk Pillow Case – Made in Bali and 100% Mulberry Silk. Another must have, is a good pillow. I sleep on a memory foam pillow for better neck support. When I was younger, the use of pillows were not so much of an issue. I could use anything to prop up my head and fall asleep. Nowadays, my body seems to react when the pillow is not right – either too soft, too high, or too low. Memory foam pillows solve all of those problems. It helps with neck pains and aligns my spine so I can truly wake up refreshed. They don’t even have to be expensive! Mine is under $20 and it works better than any standard pillow! Or if you have really bad neck pains, I’d suggest investing in a more expensive one, like this one. To complete everything, I sleep with down covers. I’ve been using it my whole life, so I find it to be the most comfortable! It’s like you’re engulfed with a layer of clouds when you’re asleep. It’s perfectly fluffy and brings you to dream land in no time! I love that it keeps me warm during the winter without the extra weight. I find other comforters or blankets to be too heavy and I feel like it suffocates me during sleep. It’s also super breathable during the summer, so it won’t be too hot either. Overall, I think relaxation and comfort truly is key to better sleep. I’m typically a light sleeper and have difficulty falling asleep, so every little thing counts. The combination of the four things I mentioned are the basics to ensuring my sleep quality. How about you? Do you use any of the above? What are your ways of ensuring better sleep? Please do share and let me know! Can’t wait to hear from you all! I get so tired by end of the day that I sleep the minute I’m on bed. But these tips are really great! Especially foam pillows!! I love them. I love this post, I am always looking for ways to sleep better! I travel a lot for work and find that a lavendar oil spray (or pure) is essential! The famiiar fragrance helps the brain forget that you aren’t in your own comfortable bed. I may begin travelling a silk pillow case too…. Hi Lauren! 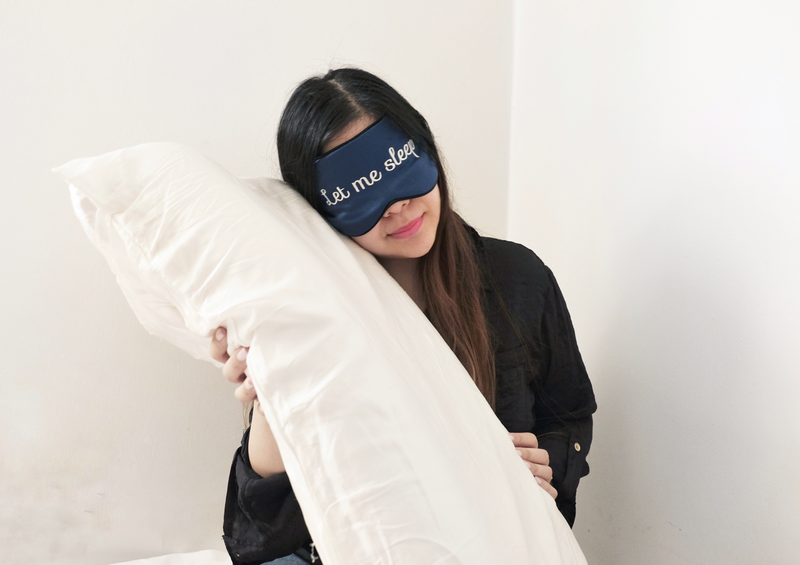 I definitely think traveling with a silk pillow case will aid in better sleep during travels! Mine comes with a travel case too for the very purpose! I am going to have to try this oil! I got a My Pillow recently and that helped me A LOT. Hi Robin! That’s great! The oil is super light, moisturizing, and calming. Would definitely recommend! Love your sharing! These tips are so easy to follow, I will try this oil and also share this with my family and my friends. I’ve always heard about the whole silk pillow theory. I didn’t think it actually worked. Comfort is everything! Yes! It actually does! Reaps so many benefits too! I love a good essential oil blend to help with sleeping, however I’ve never tried a silk pillow case that is something I am going to have to try next I think. Yes! It’s a good combo if you use oils as a moisturizer! I have been quite stressed lately so I haven’t slept super well. I need to change that and I am sure your tips will help! Hi Corinne and Kirsty! It’s a bummer to hear you have been stressed and haven’t slept well! Definitely hope these tips can help you out if even just a little bit! I keep hearing about silk pillowcases. I’m thinking I’ll be picking one up. My husband uses a memory foam pillow and loves it but I think it feels weird. Hi Amber! 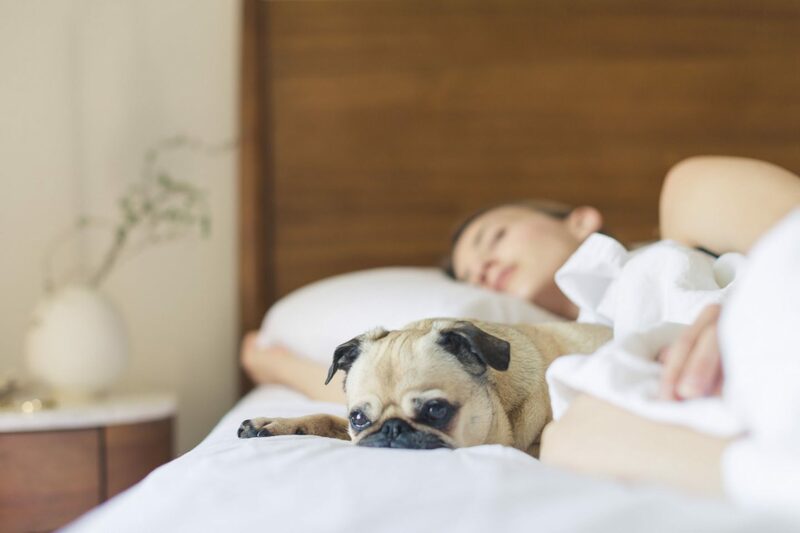 I think it does take time to get used to a memory foam pillow, but when you think of how much it helps your body, it’s definitely worth the transition period! Yes, do pick up a silk pillowcase! You won’t regret it! Love the pillow case idea! I love this! Great tips here! I appreciate you helping people like me get better sleep. I think I need to start by trying to go to sleep at a reasonable hour – I find that I get much better rest if I go to sleep before midnight. I am such a horrible sleeper. I can use all the tips and tricks I can get! I am always looking for tips to getting a better sleep. Essential oils are fantastic for so many different uses. For me it’s the pillow that makes all the difference in my sleep. I take it with me everywhere I go! I agree with using silk pillow case. Yes it prevents fine lines and wrinkles as well. And mine, i use lavemder essential oils coz its relaxing and makes me fall asleep quickly. I agree with the memory pillow! It’s really comfortable. I love sleeping on it. Sounds dreamy! I used to use a silk pillow case when I had long hair. It kept the tangles at bay. Comfort is definitely one of the things I struggle with in order to fall asleep – and stay pain free. I might try the down covers and memory foam pillow as soon as I get money! Oh man did I need these tips this week! I love my memory foam mattress, but I still have not been sleeping well! I think I need to get on the essential oils train and see if that helps! I’ve been meaning to get a silk pillow! I hear so many good things about them. You’ve given me just the push I need! White down bed sheets do it for me. Since I got a king sized bed and dressed it like a bed you’d see in a hotel…I sleep very well. I’d like to try the essential oil too. Thanks! I think silk pillow covers help me to sleep well. Great list, i should invest on a good oil. omg yes!! i invested in a silk pillow case a couple years ago and my sleep has improved significantly! now I think it’s time to test the oils! thank you!! I have never really had issues with sleep, thank goodness but for people who do these are very important and helpful tips you’ve shared here. I always do not sleep well. So thanks for the tips! I just got into essential oils this year and I fell in love with Saje Wellness. They have some incredible oils that are perfect for bedtime. Now I can’t sleep without them! These four things definitely seem like the perfect recipe for great sleep. I need to replace my pillows soon. Ill have to try these! I have a hard time with sleep, maybe these will help! I could totally use some of these aids! I think I’d love silk pillowcases!! The essentials oils is a must for me. I truly need to invest in silk pillow cases. I love all of those! I have never tried a silk pillowcase but every time I pass one I wonder if it really works! I’ll definitely have to try these out, thanks for sharing! i would love to try the essential oil blends. That will surely make me fall asleep. I love using essential oils to sleep! A nice lavender is so relaxing! High five on memory foam dear! I should also try the silk pillow case. That sounds really comfy. Sleep is so important, especially that we all want to be over-achievers and usually neglect this necessity. Thanks for writing about this and for the memory foam pillow advice!